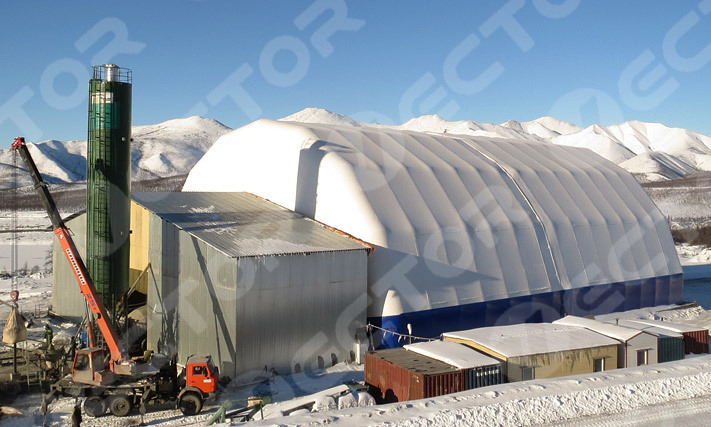 Hangars assembling and manufacturing is one of Vector Construction Company business profile. It is well-known that hangars can be used as a shelter for major equipment: aircrafts, helicopters, tractors, combines, etc. Fast assembling hangars include all arch- type structures. 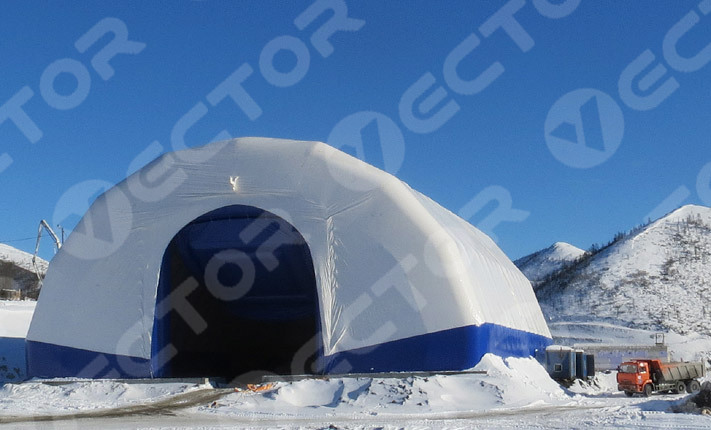 It can be frameless hangars (inflatable) or tensile fabric hangars. 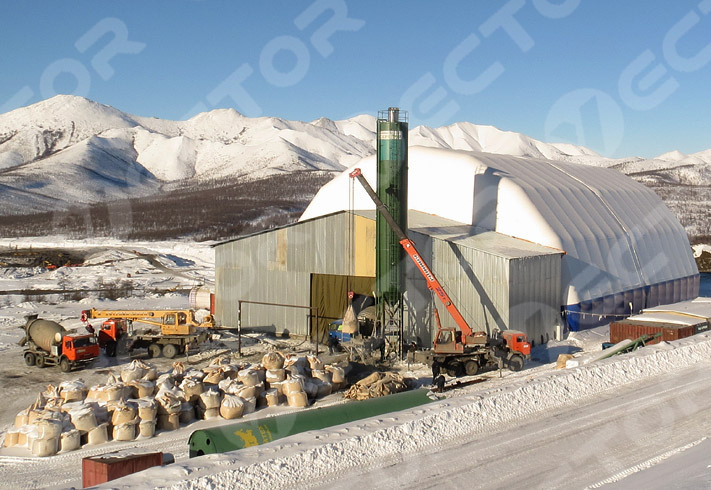 These hangars can be used as warehouses, covering for fertilizers and building materials etc. Fast assembling hangars are mobile structures. You will save your money and time while transporting, assembling and dismounting. Particularly easy to install prefabricated inflatable frameless hangars. Fast assembling inflatable frameless hangars are particularly easy to assemble. You should take care of your major equipment that you use for business or personal purposes storage. 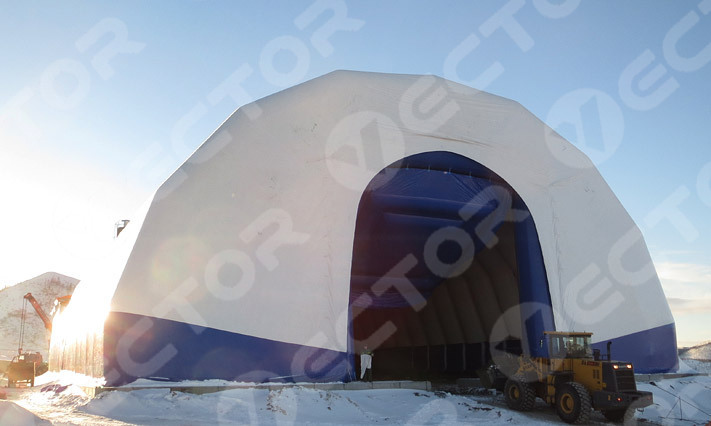 Hangar assembling will protect your property against the negative effects of UV radiation, rain, hail, snow... Frameless arch hangars will be also valuable for construction organizations and road repair services because they are often move away from cities without shelters and storages.